We will be creating cards that are individual, fun and versatile. 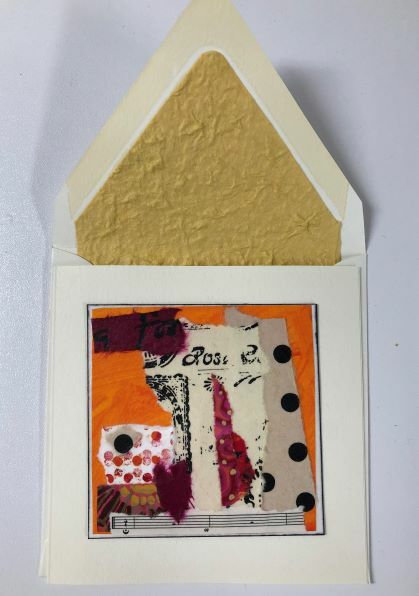 Joy will show how to use collage cuttings from dictionaries, music books and photos, layering ephemeral and other embellishments to create designs individual to you. Coordinating envelopes are also created.